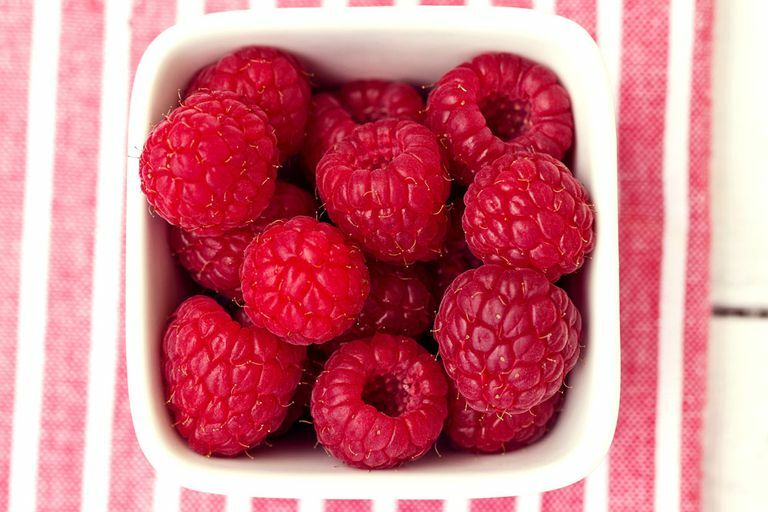 Is Fruit Bad for Women With PCOS? As a registered dietitian nutritionist who specializes in PCOS, one of the most common questions I get asked from women with the condition is if fruit is bad for them. True, fruit does contain carbohydrates and a diet too high in carbs isn’t good for women with PCOS (or most people for that matter). But the sugar in fruit isn’t the same as regular old table sugar. In fact, comparing the two is like, well, comparing apples to oranges! Plain sugar like the kind you put in your coffee or use to sweeten your oatmeal, is sucrose, a carbohydrate that is an easily digestible form. When you eat sugar, it quickly enters your bloodstream giving you a sharp rise in your blood sugar and insulin levels. Not good when you have PCOS. Fruit, on the other hand, is composed of a different carbohydrate, fructose. Fruit also contains fiber which needs to be broken down by the body in order to use the fructose for energy. This means it takes your body longer to digest fruit. Think of the difference between an apple picked from a tree and a half a glass of apple juice. Both have the same amount of carbohydrates. Which would satisfy you more? Besides the added benefit of fiber, fruit contains the very vitamins, minerals, and antioxidants that can improve PCOS and insulin resistance and lower our risk for chronic diseases like cancer. In fact, the U.S. Dietary Guidelines recommend we eat a minimum of two cups of fruit each day for good health. What counts as a serving of fruit? Now because fruit is a carbohydrate, they shouldn’t be eaten all at once. A common problem I see is people thinking their smoothie is good for them when they have included several servings of fruit in one serving. Too many carbohydrates eaten at once, even if they come from fruit, will spike glucose and insulin levels. Instead, have a piece of fruit as a snack or add to a meal that is low in carbohydrate foods like strawberries with an omelet. Fruit doesn’t contain protein or fat, so you may want to add some to increase satiety and help manage blood sugar levels. Examples include an apple with nut butter, hard-boiled egg or cheese. Generally, fruit that you eat the skin (apples, peaches, berries), tend to have a lower glycemic index. This means that it gets digested slower, and thus results in a slower rise in your glucose and insulin levels after eating. Fruits that you don’t eat the skin (pineapple, melon, watermelon) tend to have a higher glycemic index because they don’t contain as much fiber. This doesn’t mean these fruits are bad for you (they still contain nutrients) but should be eaten in moderation. And what about bananas you may ask? A large banana counts as two servings of fruit (like eating two apples at once). Buy baby bananas or cut one regular sized banana in half. Bananas are rich in potassium, which regulates blood pressure, and are a good source of B vitamins, which help maintain blood sugar levels. Keep a bowl of whole fruit on the table or counter. You’ll be more likely to see it if it’s in sight rather than hidden away in a refrigerator. Buy fresh fruit in season to maximize the nutrients from different types. Refrigerate cut-up fruit to store for later for easy access. Freeze fresh fruit or buy frozen to blend in smoothies. Add to meals. For example, top oatmeal with blueberries or add grapes or apples to a salad. Need some PCOS-Friendly recipes? Check out The PCOS Nutrition Center Cookbook: 100 Easy and Delicious Whole Food Recipes to Beat PCOS.